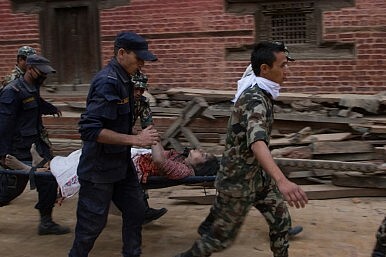 On Saturday, a 7.8 magnitude earthquake hit Nepal, doing considerable damage and claiming hundreds of lives. Just before noon on Saturday, Kathmandu, Nepal was rocked by a magnitude 7.9 earthquake. The reported death toll stands at around 900 people, but that is sure to rise. 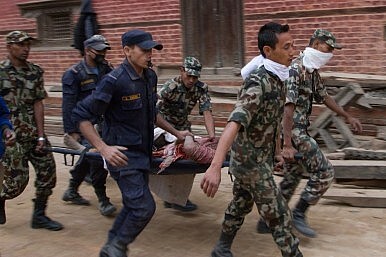 The Nepali government said there was “massive damage” at the epicenter, which was about 50 miles west of the capital city. The quake could be felt across the entire South Asian region, as far away as the Indian capital of New Delhi. As the shock waves rolled across the city, buildings collapsed, walls fell over, and roads were destroyed. The city fell into chaos as people rushed into streets and fields. 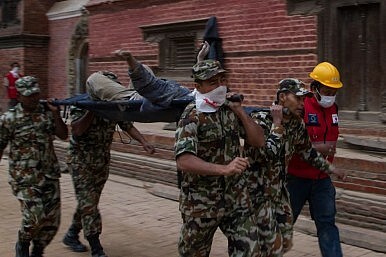 Hospitals were flooded with injured patients, and police scrambled to organize rescue efforts for people caught underneath rubble. 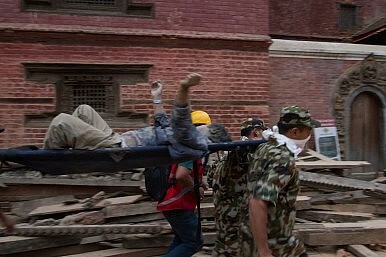 The historic sections of Kathmandu were the hardest hit as older buildings, landmarks, and many temples were destroyed. 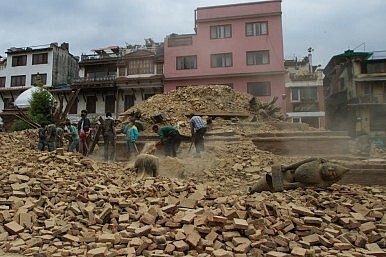 A nearly 200 hundred year-old landmark known as Dharahara, or Bhimsen Tower, collapsed into a heap of rubble. The tower was 63 about meters tall and built in 1832. 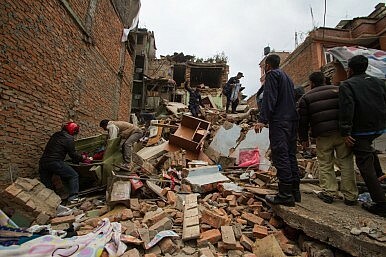 Throughout the afternoon, aftershocks hit the city as well, often throwing people into panic. Phone and communication networks have been sporadic and the infrastructure of the country took a major hit. There have also been reports of avalanches on Mount Everest caused by the earthquake. The climbing season has just begun here, but the extent of damage is not yet known. In the coming days, recovery will begin, but for a country where reliable infrastructure is already a challenge, this is a major setback. Stephen Groves is a journalist based in Kathmandu, Nepal.